The electronics industry is poisoning the workers who make our shiny gadgets. The global electronics industry boasts of technical perfection and seamless production. But look closer and you can spot assembly lines tangled with rotten nerve endings and veins swollen with toxins. Workers of the high-tech economy face hazards that echo the lethal smokestacks of Dickensian England. This time, however, it’s not Manchester where workers are ailing, but the semiconductor capitals of the world in East Asia. South Korea, which together with China leads the world in production of brand-name electronics, has been slowly awakening to the public health fallout of workplace poisoning. 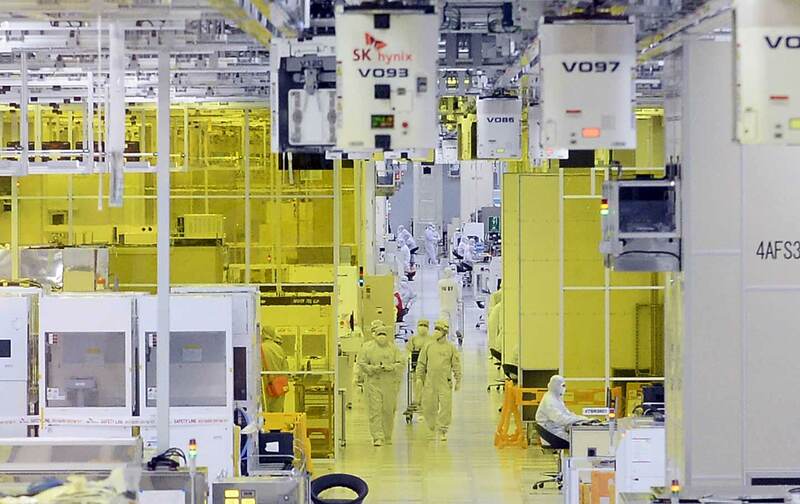 Two of South Korea’s major semiconductor producers, SK Hynix and Samsung, are coming under heavy pressure to investigate and pay for an epidemic of occupational illness that many trace back to their production lines. At both SK Hynix and Samsung, over a 15-year period, “around 80 people altogether fell ill with lympho-hematopoietic diseases. Non-Hodgkin lymphoma rates were particularly elevated among women. Though proving a direct causal link to either of the firms is difficult, SK Hynix is now moving forward with a precautionary approach by implementing an independent investigation committee’s recommendations for long-term compensation. Advocates hope the measures will lead to strengthened chemical safeguards across the manufacturing process. Meanwhile, the South Korea-based No More Deaths campaign has for years sought to hold Samsung accountable for a spate of cancers, which the group says has resulted in more than 70 worker deaths. Although the company recently relented to years of pressure from victims’ advocates by allowing workers to apply for compensation from a special $85.8 million fund, survivors have rejected the plan, arguing that it has stonewalled victims, and that even the latest promises of compensation and reform are whitewashed and lacking transparency. They also object to the restrictions Samsung sought to place on the fund, such as rules limiting the number of diseases covered or requiring several years of employment with the company. The arbitration committee established by third-party experts called for a more objective process with oversight from an independently appointed ombudsman, and recommended the inclusion of 12 additional diseases for compensation claims. Meanwhile, South Korea’s controversies may be eclipsed by a parallel crisis in China. A recent Wired investigation revealed alarming patterns of electronics workers reporting waves of respiratory and neurological illness. Factory worker Long Li described her rapid physical deterioration over just a few months: going numb in her hands, then roiling joint paint, and eventually, “Long found herself unable to move her legs. ‘I was just lying on my bed all day and needed help to eat.’” Fair compensation from employers is rare, and China’s anemic healthcare infrastructure is sorely lacking. The need for corporate transparency is a question of social and workplace democracy. Garrett Brown, a workplace health and safety specialist who previously worked with California’s occupational health agency, says, “The right of workers to know what they’re exposed to…is missing throughout the industry and throughout the supply chains.” Right-to-know laws in the US chemicals and processing industries have led to regulatory breakthroughs and major advocacy campaigns. Today, Asian workers—some of whom constitute workforces that rival the population of a small nation—remain in the dark about what they breathe and touch every day at work. The problem lies in a production system that incentivizes firms to ignore safety concerns to achieve what Brown calls the “Iron Triangle”: ever-higher product value, ever-accelerating production speeds, and ever-cheaper production costs. The most convenient source of such “efficiencies” for employers is naturally squeezing an increasingly exhausted, overstretched workforce. “So you pay them less, you have unpaid overtime, you pay as little as possible for health and safety compliance or environmental compliance,” Brown says, “and it’s all driven by the sweatshop business model of global supply chains.” But the bodies of workers are only so pliable until their health finally gets spent. And as economic development accelerates, the societies that have tried to prosper from cheap tech manufacturing are now facing a devastating public health debt. Technology firms pride themselves on defining what’s cool and cutting-edge, but until the workers in high-tech sweatshops get some relief, no amount of Silicon Valley style can gloss over the toxic substance fueling its profits.